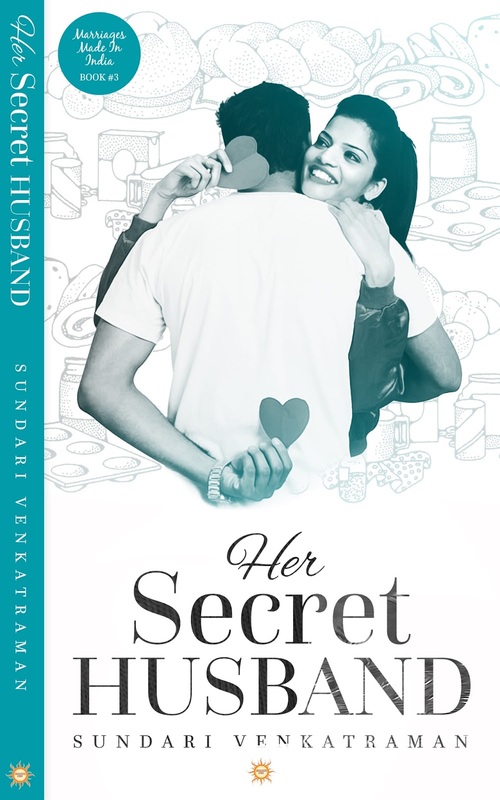 Ruma Malhotra falls head over heels and a little more in love with Lakshman Maheshwari, but her parents insist that she marry a rich businessman of their choice. When Ruma's only option is to marry Lakshman in secret, she is left torn between her love for her parents and her passion for Lakshman. Is a secret marriage the solution or will it lead the way to a public disappointment? Lakshman Maheshwari falls in love with Ruma Malhotra the first time he sets his eyes on her in Ranveer's office. Will he agree to marry Ruma in secret even if it means betraying his parents? Psst... Those who have read THE MALHOTRA BRIDE might be happy to reconnect with Sunita & Akshay Malhotra in this one. âWhatâs up?â he asked, trying to keep the situation light. She winked at him. âShouldnât I be asking that question?â she asked, looking pointedly down at his lower body. Reacting to her flirtation, his manhood immediately sprang to action, making Lakshman swear. âCut that out, Ruma,â he growled, sidestepping her as she wouldâve wrapped her arms around him. âI need a shower,â he insisted, not meeting her eyes. He went into the bathroom and locked himself in. The place smelled of Ruma. Cursing, Lakshman stood under the cold shower to tame his libido. She looked like she meant business. How could he convince her to wait till they got married? He dried himself with the towel that was on a rack, glaring at the mirror. He needed a shave. But no, they werenât going to make love, so it didnât really matter. Just then he realised that he would have to step out in the towel as his clothes were in the wardrobe. Swearing again, Lakshman walked into the bedroom. âLaki,â called out Ruma, eyeing him avidly. Fascinated, she got up from the bed and walked up to him. He appeared like a Greek God with his chiselled body that was still damp from the shower. âHuh? !â She looked deeply into his eyes, her brown gaze like melted cocoa, inviting him to make love to her. Her mouth was pouted deliciously, glistening wetly, begging for a kiss. Lakshman groaned deep in his throat, letting go of her hand to wrap his arms around her. He placed his lips on hers, sucking her upper lip. She tasted as sweet as honey, driving him crazy. His right hand moved down the curve of her hip to touch a thigh. He traced the curve, working his way under her nightshirt to encounter her bare bottom. âRuma.â He deliberately removed his hands off her and raised his head to look at her. She stared back at him with slumberous eyes. âWhat?â A small frown puckered her forehead. âWeâll make love after we get married,â he declared. âWhat if I want you desperately?â She nuzzled his neck, her teeth taking a sharp nip. Her Secret Husband is the tenth book authored by Sundari Venkatraman. 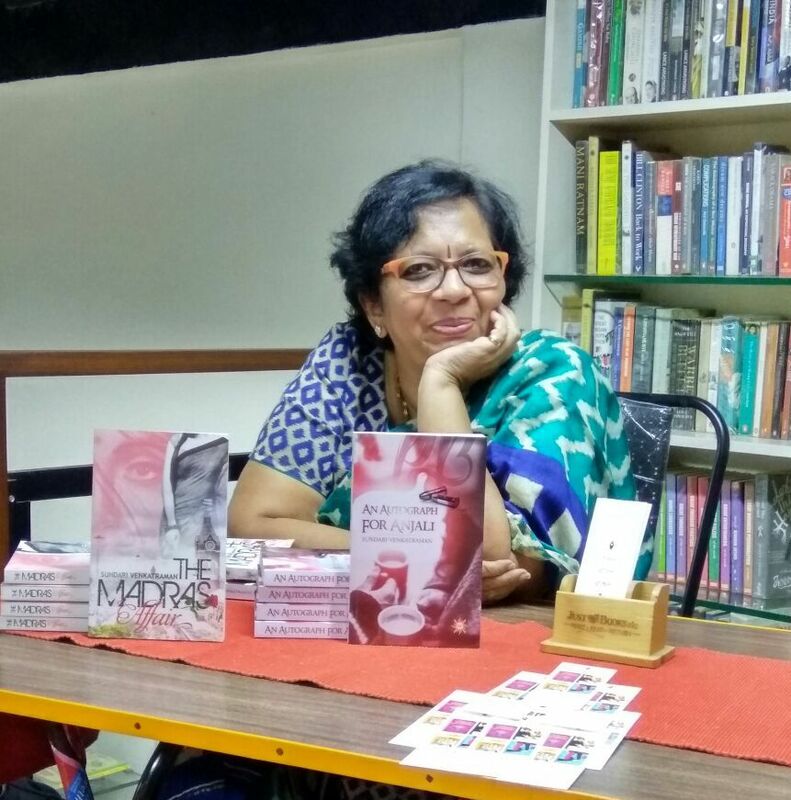 This is a hot romance and is Book #3 of the 5-novella series titled Marriages Made in India. Book #1 of the series is The Smitten Husband & Book #2 is His Drunken Wife. 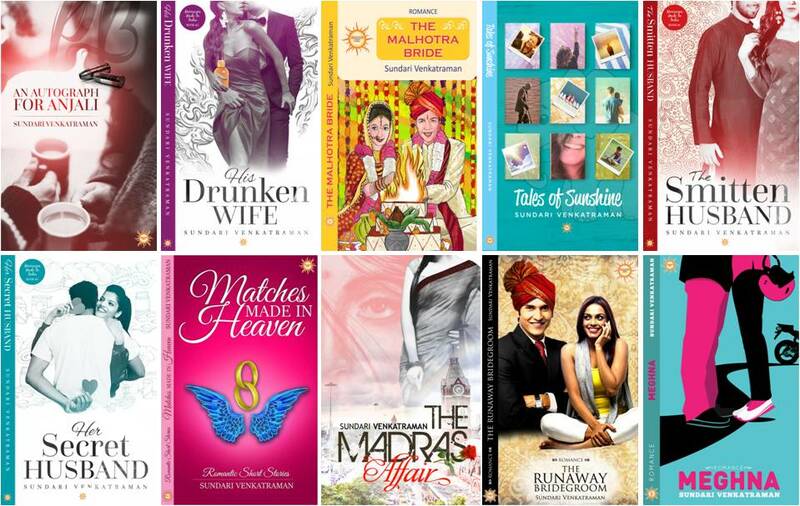 Other published novels by the author are The Malhotra Bride, Meghna, The Runaway Bridegroom, The Madras Affair and An Autograph for Anjaliâall romances. She also has a collection of romantic shorts called Matches Made in Heaven; and a collection of human interest stories called Tales of Sunshine. All of Sundari Venkatramanâs books are on Amazon Top 100 Bestsellers in India, USA, UK, Canada & Australia under both #romance & #drama categories.